Let’s get the introductions out of the way: this is Kolossor, a three-piece sludge metal band from New Jersey, and don’t they know it. Let’s imagine that you want to form a sludge metal band but not lose touch with the rock and punk roots of your local music scene. You wouldn’t want two guitars, would you? But, on the other hand, you would definitely want your bassist to make himself felt throughout every song, while your drummer should hit the skins like they’ve just said something nasty about his mother, the vocals egging him on all the time with gruff moralistic outbursts. 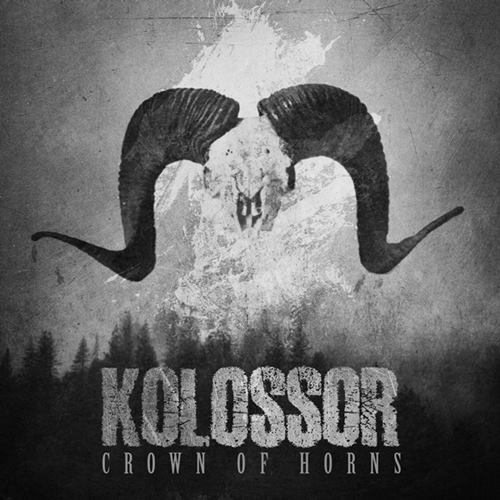 And, more or less, that’s what Kolossor did, ending up not as the heaviest sludge outfit nor the most distinctive, but a strong example of what the genre has to offer even in its most basic form. Prepare not for an atmospheric or subtle experience as some might expect from modern sludge: prepare instead a simple first-aid kit to stitch yourself up after the barroom brawl that Crown of Horns inflicts on listeners. Likening songs such as “Keeper of Flame” to a fight is necessary due to the grumbling bass, bruising riffs, pummeling drums, and bullish, pugilistic roars that keep coming, not thick and fast but as if through a drunken stupor. Blows strike accurately and continually, since the participants are wholly unable to dodge a punch and can barely feel the effects of each one. There’s a kind of stupid monotony to the action after a while, as riffs come lumbering on through distortion as thick as five pints of Guinness, a few of the quicker fighters raining down lighter debris at a greater pace during “Pillars” or the suitably-titled “The Falling Wreckage”. Despite the changes of pace, one thing is for sure – everyone will be aching and hungover after such an experience. For anyone with experience of the above described bar fight, a sense of remorse should hang heavy over the following morning, along with some minor features of memory loss. Despite the beating that Kolossor prove capable of, there isn’t all that much to relish about looking back over Crown of Horns, not that specific moments don’t leave their mark. 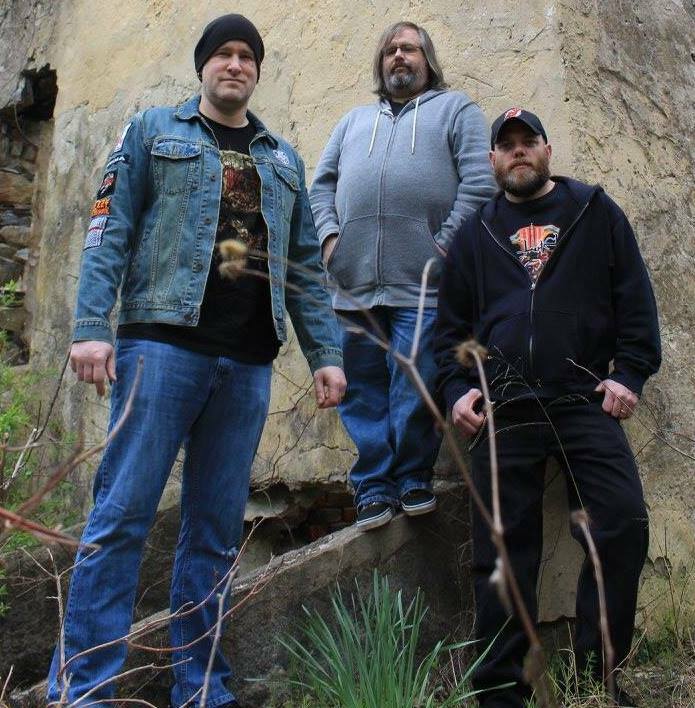 One such is the crushing stride of “Bugbear’s Last Stand” that opens proceedings with imperious heaviness, sounding a great deal more doomy and menacing than the other cuts. “Tempest” packs in more riffs than most songs, spending its first couple of minutes hammering out some diverting patterns in faster style, though “Wall of Sleep” about turns after that, somehow introducing a post-punk bassline before developing into a fleshy sludge cut that resembles Mastodon in its use of furious melody. The Atlantans’ early work is referenced in several other places, such as the jangle of guitars in “Pillars” and the title of “Thunder Helm”, which seems custom-made for their Leviathan era. However, it would also be worth mentioning Crowbar as a comparison for the lumbering lowness of “Keeper of Flame”, while Kolossor have a few individual features too. Greg Frisenda’s vocals are one of the most distinctive elements that Crown of Horns can boast, though sadly they do not provide the necessary touch to recommend the album to the wider world. Frisenda fits comfortably into the category of “caveman vocalist”, since his utterances are primitive in the extreme: more of the shout colours his voice than the roar or the croon. Therefore, while each member of the three-piece is able to keep his end up instrumentally, the songs often lack a clear focus or counterpoint to the gruff riffing, largely since the vocals – while fitting – fail to deliver high and low points for each song, a matter to which the scarcity of guitar solos also contributes. Those lead moments that do stand out tend to be most similar to the work of other bands, leaving this barroom brawl feeling fairly tired by the end of 50 minutes as it all blurs together into a long history of similar drunken scenes involving similar drunken characters. There’s nothing really very wrong with Crown of Horns, but it isn’t going to stand out from the crowd. This entry was posted in Reviews, Stoner, Doom, Sludge and tagged 2018, American, bar fight, barroom brawl, Crowbar, crown of horns, kolossor, Mastodon, New Jersey, Sludge Metal, Trio.